The Lunar New Year falls on the first day of the first month in the Chinese lunisolar calendar, between January 21 and February 20. It’s the most important celebration in Chinese communities and is often called Chinese New Year. However, Korean, Vietnamese, Laotian, Singaporean and other Asian communities also celebrate it. The holiday’s traditions are rooted in ancient Chinese religions and astrology. Many are well known, such as the Chinese zodiac, based on 12 animals important to Chinese culture. The color red is widespread in decorations, lanterns, and money envelopes for children. Other important customs include paying respects to household gods and ancestors and feasting with family. 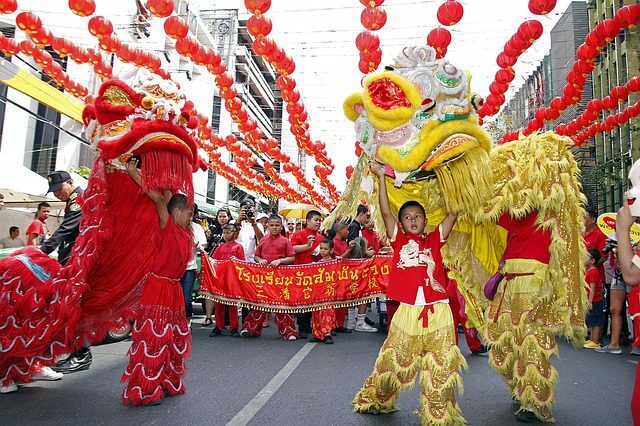 Communities perform the traditional lion dance to bring good luck. Japanese Buddhists observe Higan-e or Higan at the spring and autumn equinoxes. The festival starts March 18 or 19 and September 20 or 21 and lasts one week. “Higan” is an abbreviation for to-higan, meaning “to reach the other shore [of Nirvana or Enlightenment].” Its teaching has six components: giving, precepts, perseverance, diligence, zazen (meditation), and wisdom. These components, if practiced, are said to enable believers to transcend the world of delusion and arrive at enlightenment. Customs include offering rice cakes and special sweets at the family altar. Believers also visit temples to make offerings to Buddha and cemeteries to clean up family gravesites and give thanks to ancestors. Prince Siddhartha Gautama was born 2,500 years ago to the royal family in a small Himalayan kingdom. 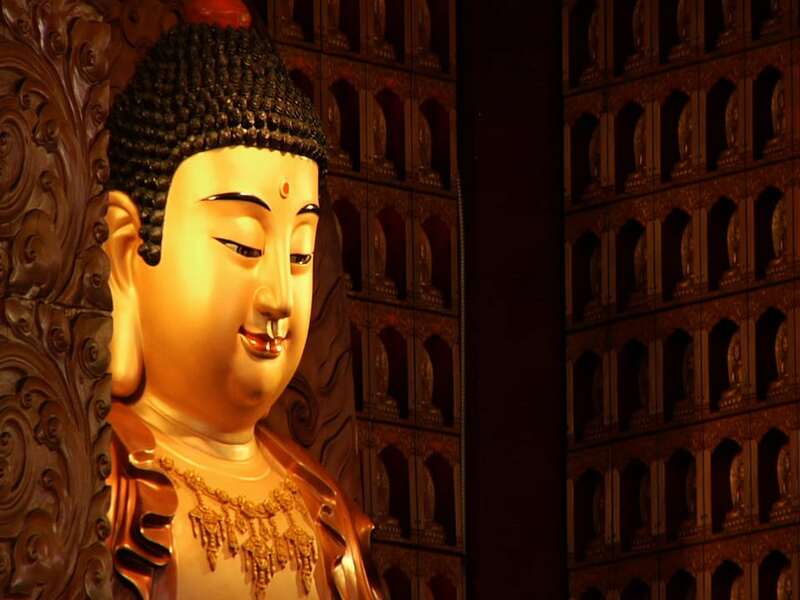 He later became known as Gautama Buddha or Shakyamuni Buddha. 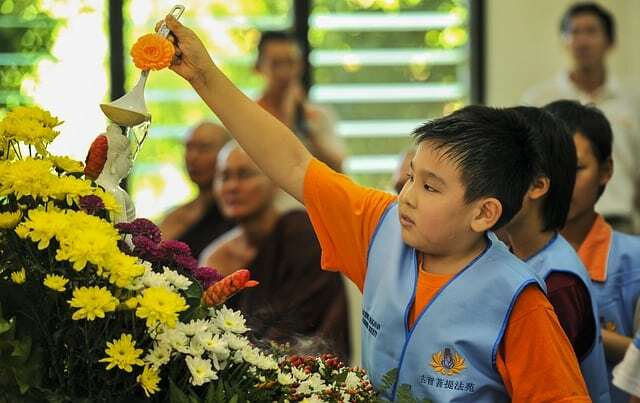 Different Buddhist communities observe his birth on various dates, many in April or May. In Japan, which adopted the Gregorian calendar in 1873, Buddhists celebrate Hana Matsuri (Flower Festival) on April 8. 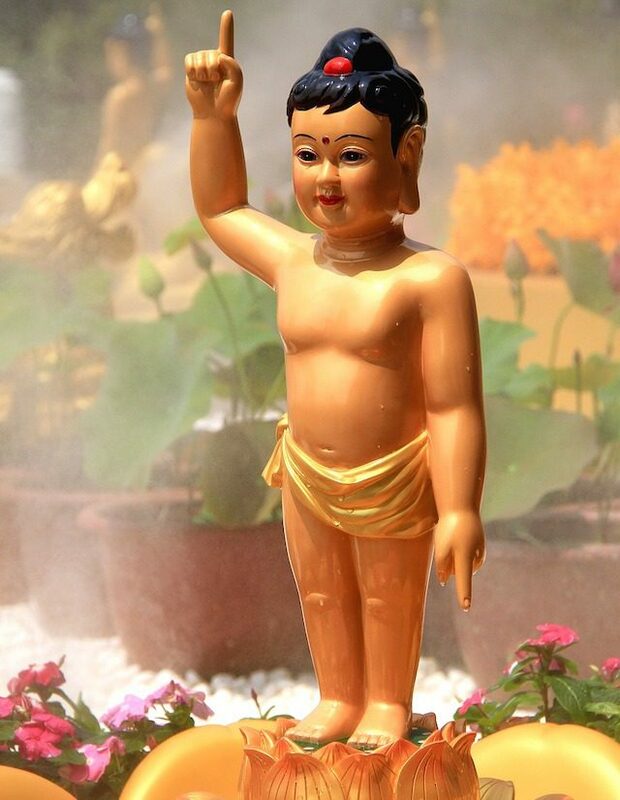 At his birth, the Buddha is thought to have said, “Heaven, earth and I are all one person.” In line with this belief, temples have statues of the baby Buddha pointing one index finger toward heaven and one to earth. Believers decorate the temples with flowers and wash the statues with sweet tea. Large public events take place across the country. Chinese and Korean Buddhists celebrate Buddha’s birth on the eighth day of the fourth lunar month, usually in April or May. In Taiwan, the event falls on the second Sunday in May, the same date as Mother’s Day. Theravada Buddhists in South and Southeast Asia observe Buddha’s birth, enlightenment, and death together on Vesak. Tibetan Buddhists also celebrate these three events on one day, Saga Dawa Duchen. For Theravada Buddhists, Vesak is the year’s most important holy day. Also called Wesak or Visakah Puja (Buddha Day), it honors the Buddha’s birth, enlightenment and death. Vesak falls on the full moon day of the month of Vaisakha (usually May or June). On Vesak believers rise before dawn and go to the temple. Monks lead special rituals such as raising the Buddhist flag and bathing the Lord Buddha. They chant the hymns of the holy triple gem: The Buddha, the Dharma (his teachings) and the Sangha (his disciples). Because Buddha taught that the way to honor Him is by truly following his teachings, believers aim to practice love, peace and good deeds on this day. 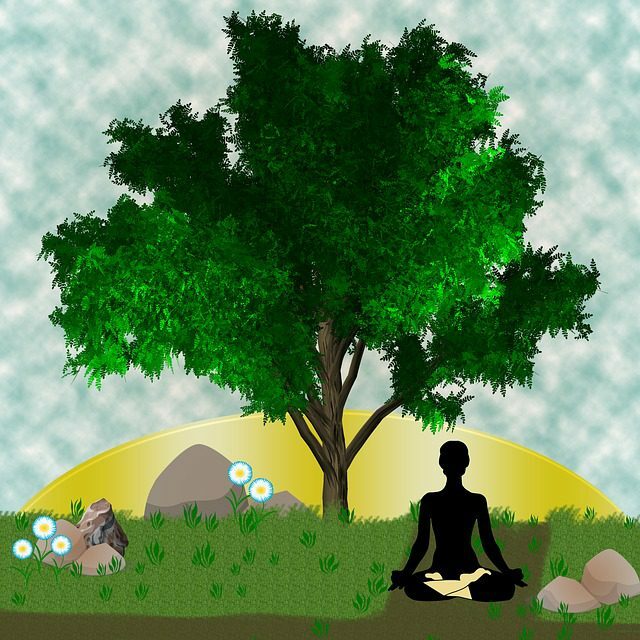 Because the religion’s main teachings began spreading after that day, Asalha Puja marks the start of Buddhism. It falls on the full moon of the eighth lunar month (Asalha), usually in July. Believers make offerings at temples, meditate and focus on practicing dharma, or righteous conduct. Monks also begin three months of retreat on this day. Japanese Buddhists celebrate Jizō Bon, or the Festival of Jizō (Kṣitigarbha) Bodhisattva in August. This day honors the deity who protects those in hell, animals, travelers, and children. Jizō is one of the most loved divinities in Japan and statues of him are widespread. Since the end of World War II, he has been worshipped as the guardian of mizuko (“water children”), the souls of stillborn, miscarried, or aborted fetuses. According to legend, the souls of children who die before their parents cannot enter the afterlife. This is because they have not yet performed good deeds and have grieved their parents. 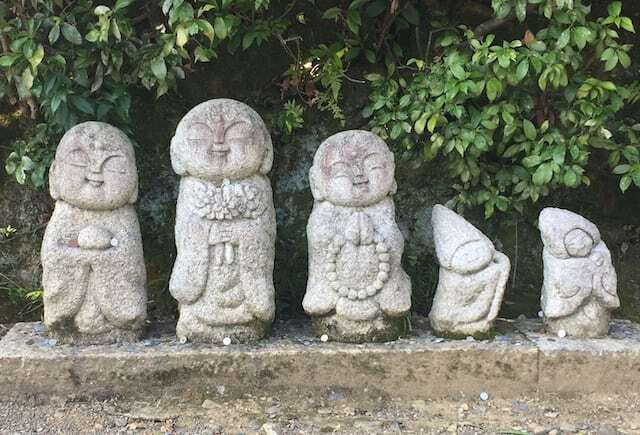 Jizō is said to save these children by hiding them from demons in his robe sleeves. 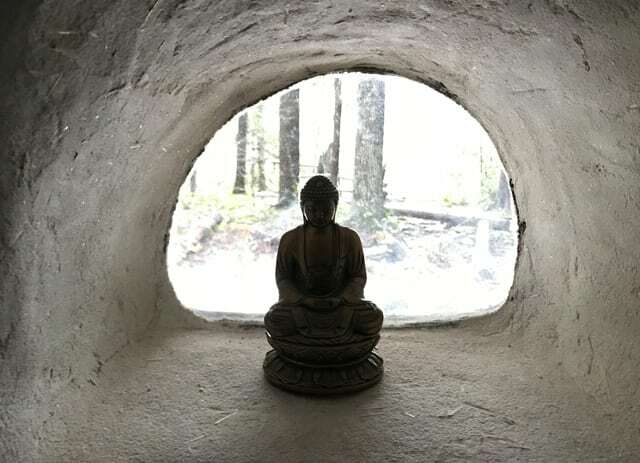 Parents often pile stones and pebbles by Jizō statues in the hope of shortening their children’s time in hell. They put infants’ clothing, red hats, or bibs on the statues so he will specially protect the children. 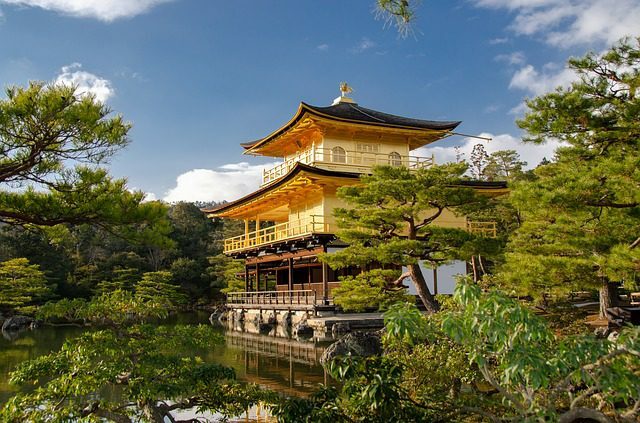 Japanese Zen Buddhists observe this day on December 8, Rōhatsu (“eighth day of the twelfth month”). The Chinese celebration, Laba, falls on the eighth day of the twelfth month in the Chinese lunar calendar, usually early January. Customs may include special meditation, chanting sutras (Buddhist texts) and doing acts of kindness. Theravada and Tibetan Buddhists celebrate Buddha’s enlightenment together with his birth and death.